A vacation usually means a bit of sightseeing and possibly seeking that one celebrity spotting you always associated with your destination. 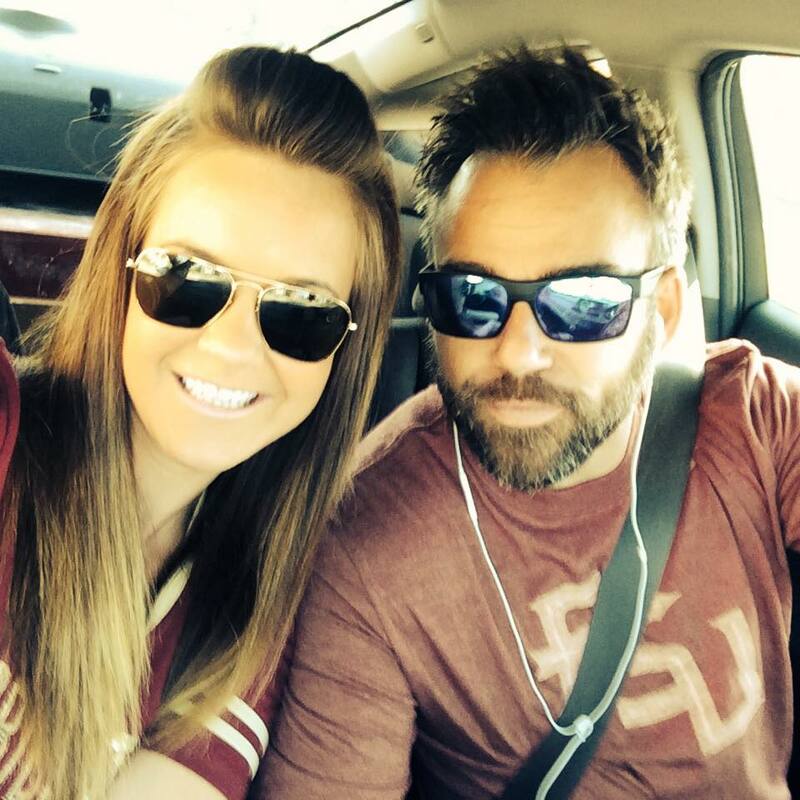 If visiting the Palm Beaches you might be hoping to catch a glimpse of the Presidential motorcade, where on LA’s famous Rodeo Drive, a glimpse of Brad sipping an iced Caramel Macchiato at Starbucks might be your quest. And what (or whom) are some tourists visiting the Northeast Georgia Mountains yearning to see? Well, Bigfoot, of course! To many in this neck of the woods, Bigfoot (aka Sasquatch, Yowie and Yedi) isn’t just a 20th-century folk legend. 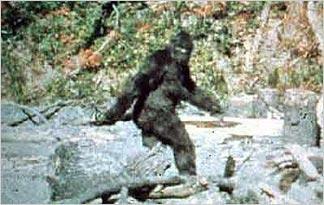 The first recorded sighting of him here in Fannin County was June 26, 1873. Georgia’s Chattahoochee National Forest has long been known as a hotbed for Bigfoot activity amongst the Bigfoot research community. And if you think that those who have an interest in this mysterious creature are just a little bit left of center, take into consideration that the famed anthropologist and highly regarded scientist Jane Goodall has said of Sasquatch beings, “I’m fascinated by them and would actually love them to exist”. 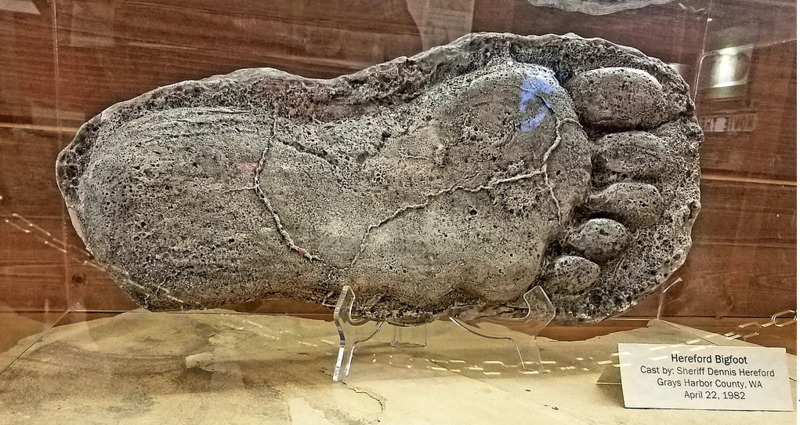 This reddish-brown hairy creature is reportedly about 8 feet in height and his alleged footprints that have been found all across the globe suggesting he has a 24-inch long foot that measures 8 inches across. To put that into some perspective, NBA giant Shaquille O’Neal is 7’1” and the length of his foot measures 15 inches. If taking a hike out into the forest after the sun sets, night vision glasses in place, to snap your photo op with Bigfoot is too much effort, don’t let that deter you from finding out all you can about him. 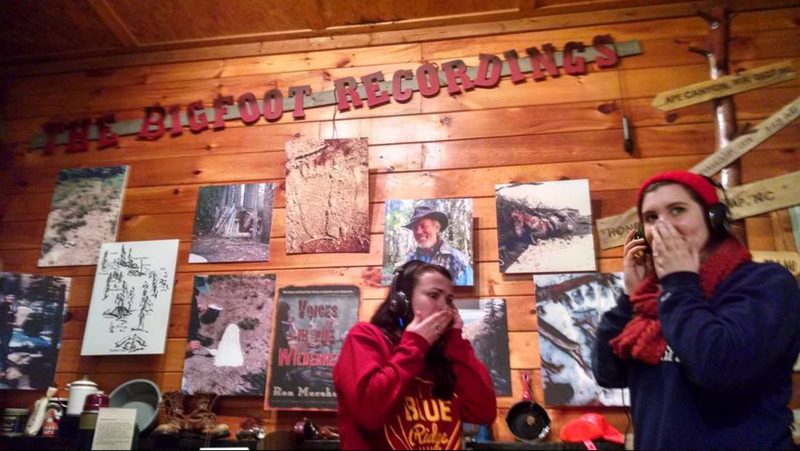 While here in Blue Ridge, plan to visit EXPEDITION: BIGFOOT! 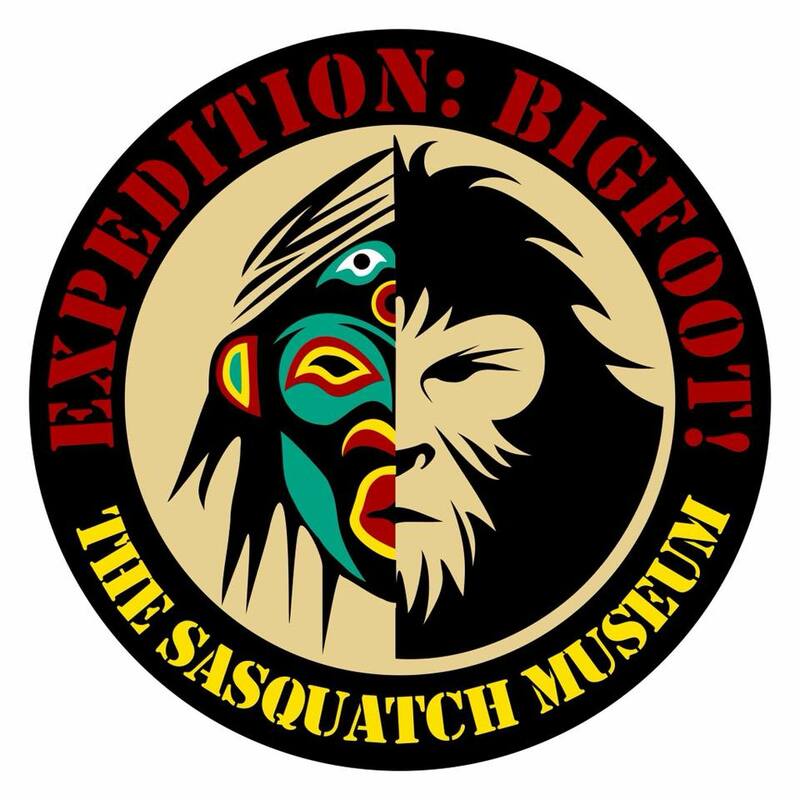 The Sasquatch Museum, located just east of the city. This museum may have you giggling on the way in the door, but you will leave with a new appreciation for your next walk in the woods. 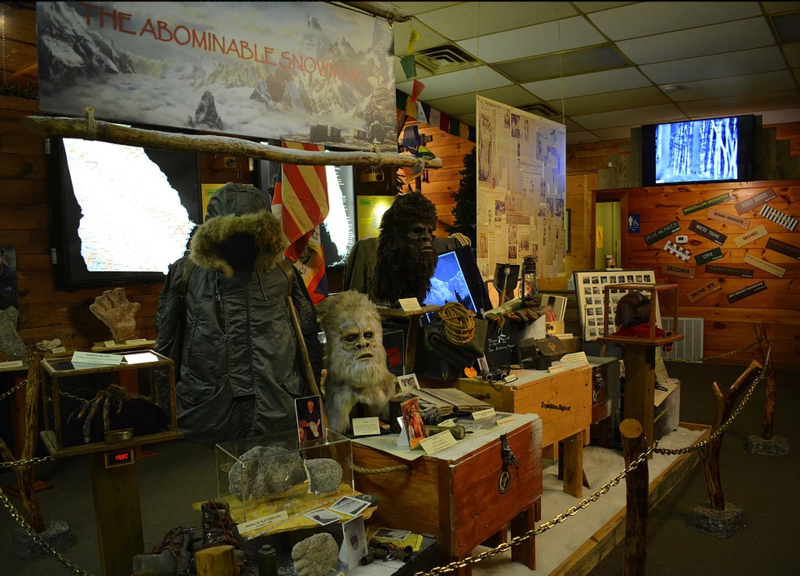 You’ll discover why Bigfooters from around the globe make the pilgrimage to Blue Ridge just to explore this museum and its many relics. The quality of the displays and the huge amount of content are most impressive. In addition to the extensive collection of artifacts, the museum has interactive exhibits, lots of scientific analysis making the credible case that there are Sasquatches roaming the earth, and audio-video presentations that captivate even the least likely believers, young and old. Yes, kids are fascinated with this self-guided tour that usually lasts 90 mins to two hours. We highly recommend this as a Plan B family destination when a rainy mountain day messes up your original outdoor intentions. The museum, located at 1934 GA-515, Cherry Log, GA, is open Wednesday through Monday from 10 am till 5 pm. Admission is $8 for adults and $6 for children age 5 to 12. Kids under 5 and Active Military (with ID) are free! It’s more than a fair price for an educational and entertaining museum of this quality, with such fun opportunities for photo ops that will sure to bring gasps to your friends back home. And though you will be welcomed by a super cool staff that is known for sharing free coffee and cookies to their guests, you might want to be prepared to drop a few bucks on souvenirs at the museum’s bountiful gift shop, where Bigfoot really comes to life. What Mom really wants for Mother’s Day might surprise you. It rarely has to do with those lovely wrapped little boxes from the jewelry store. And it has less to do with gift certificates to get body maintenance done, like massages and manicures. It was 50 years ago that this iconic ad first ran. “Calgon, take me away”. It still epitomizes what every Mom wants and needs – time away from the daily grind, if even for just time for a private, quiet bath. 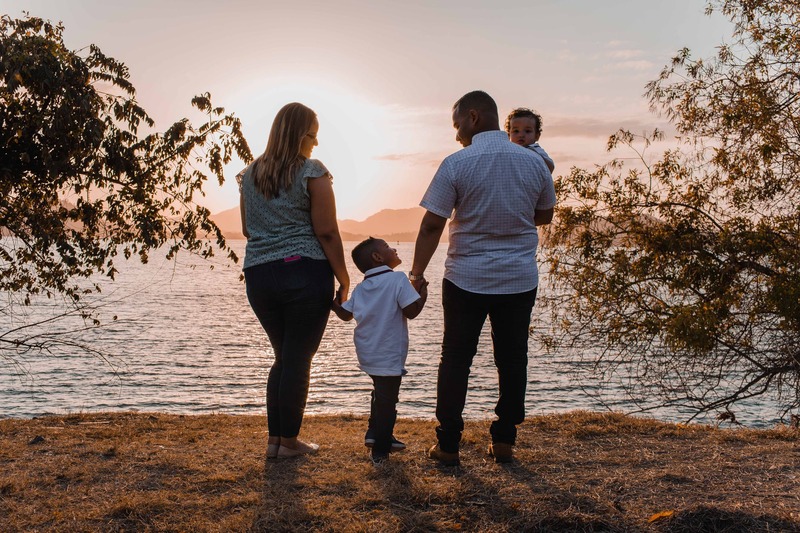 So, this Mother’s Day we think we can help you with giving Mom that Calgon moment she’ll remember for many years to come. Every Mom feels the same way once their chicks have grown and flown the coop. They yearn for one on one time with them again. When her daughter texts her to ask if she’d like to spend the weekend with her in the Blue Ridge Mountains, Mom searches to find an emoji that can express her excitement. She ends up sending 10 happy faces, and the words, “yes, yes, YES!”. Saturday it’s a quick, trouble free keyless entry into their little lakefront cabin and off to the Himalayan Salt Caves for a 45-minute session of pure bliss, relaxing in zero gravity chairs, listening to soft music in a stress-free environment. 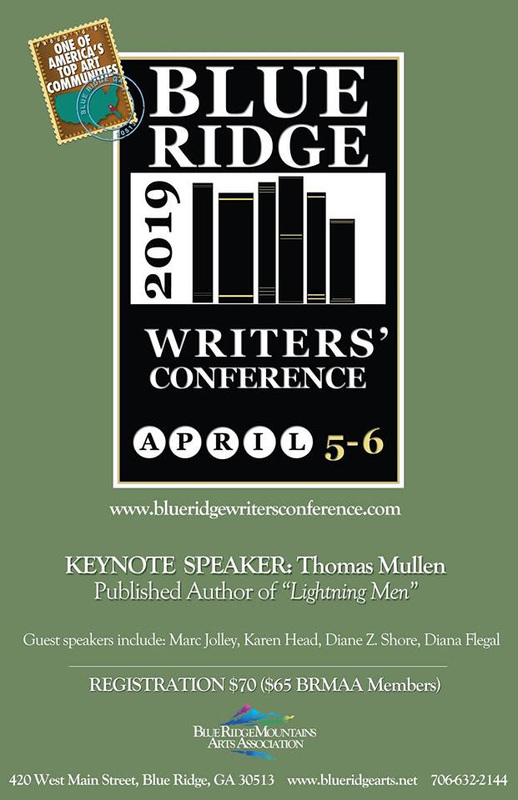 After, they head into downtown Blue Ridge and make a stop at Blue Ridge Booksellers. As different as they can be in many respects, Mom and daughter share a love for vintage bookstores. 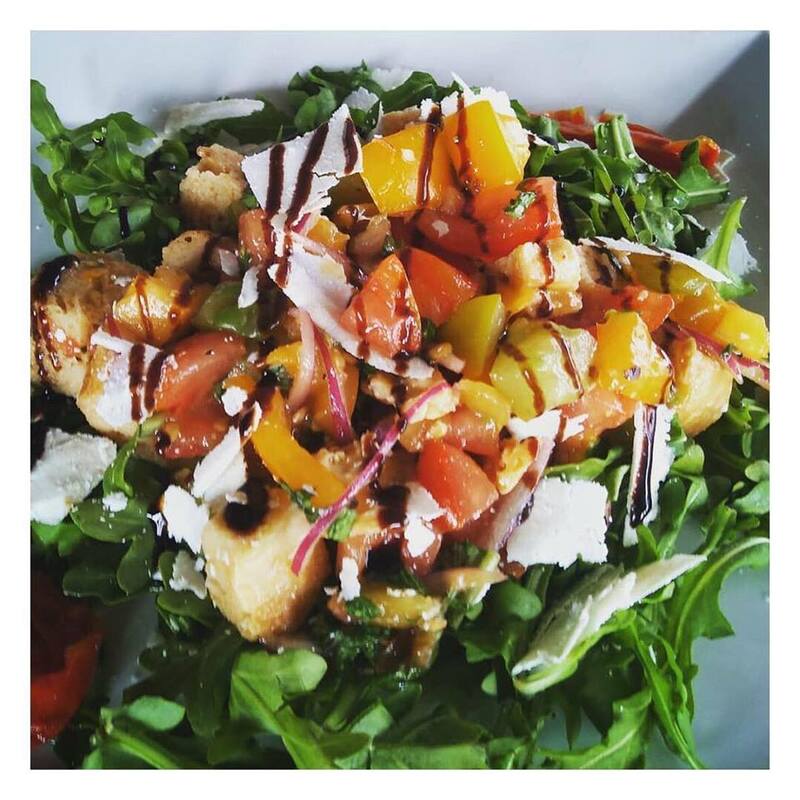 With just enough time, they make their reservation at Harvest on Main for a relaxing evening of fine dining. Back to the cottage, another glass of wine to top off the evening and a wonderful heart to heart chat on the porch overlooking the moonlit lake. They sleep in late, pack up their things, close the door behind them and take a lovely drive out to Mercier’s Orchards for brunch and then to pick strawberries together, a memory they share from a Mother’s Day trip 20 years before. Now, they head home and banter back in forth as to whether it’s biscuits or pound cake that will host these sweet, juicy berries. 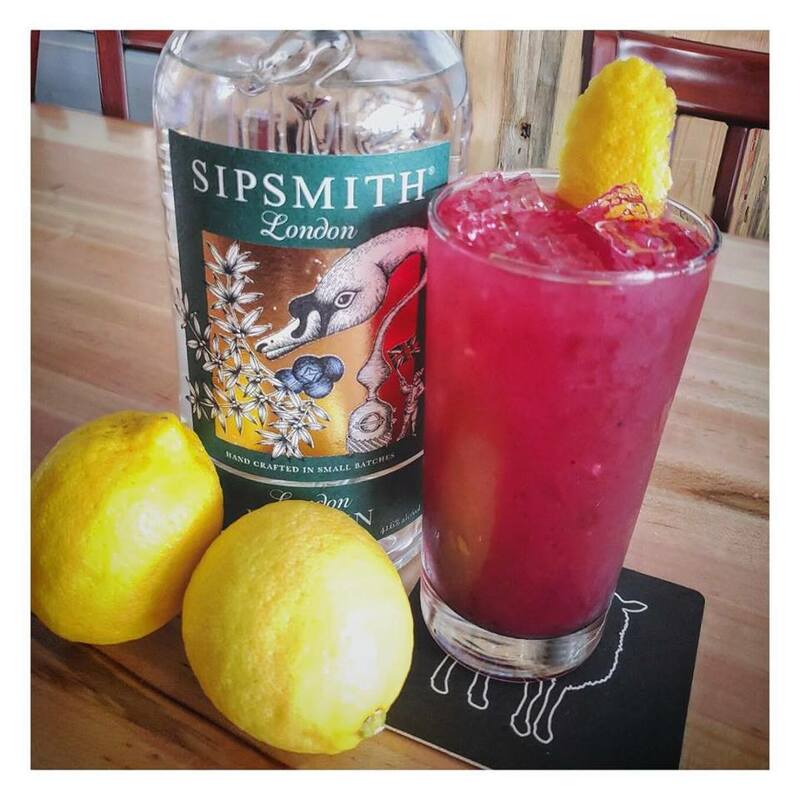 We think everyday should be Mother’s Day! Thank you to all the wonderful Moms who celebrate their families with us throughout the year. We hope your Mother’s Day is a Calgon day for you! Spring has finally arrived and the sun’s warming rays make for the perfect time to explore the mountains that are accented with beautiful blooms! Pack up your friends and family and enjoy a mountain getaway. Check out the events below and come stay with us this month. Expand your horizons with The Blue Ridge Mountains Arts Association and Art Center! They are offering a full spectrum of classes, fun events, excellent exhibits, and new programs. If you love to learn, love art, or are an artist yourself, you will be amazed at all the opportunities for all ages and of varied mediums. 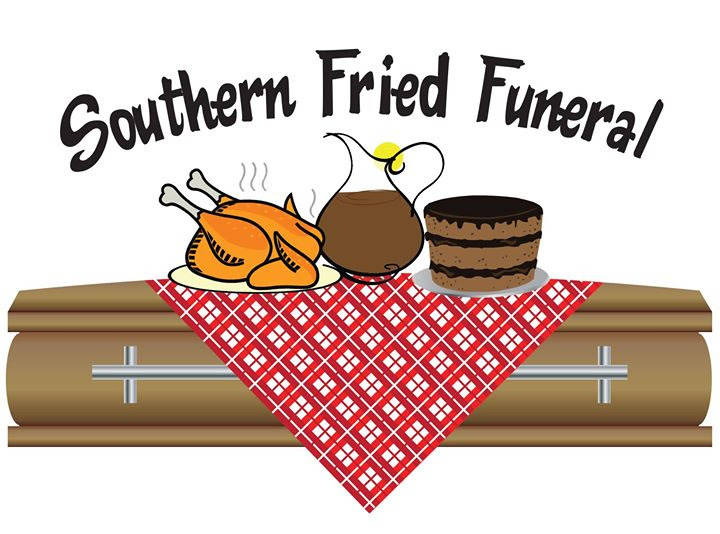 Southern Fried Funeral is a big-hearted comedy about family. 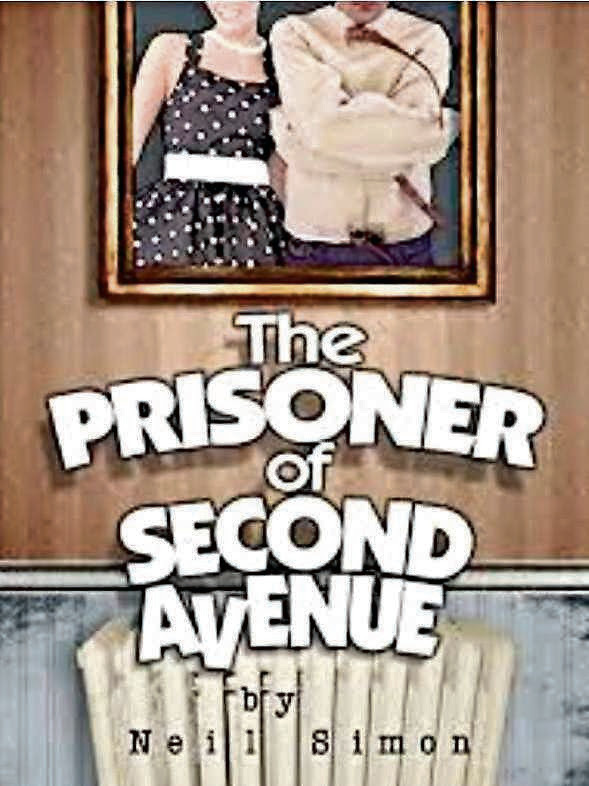 In the show, Dewey Frye is dead and the rest of his family is left to pick up the pieces. Funerals bring out the worst, the best, and the funniest in people – that is if they don’t kill each other first. 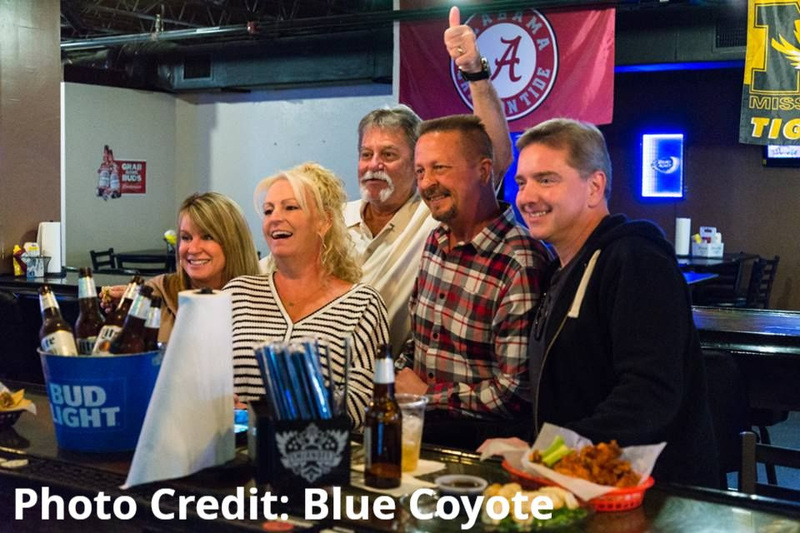 The Blue Coyote is known for their live music and entertainment. While you’re there you can enjoy their tasty bar food and a whole bunch of beer! They even have a dog-friendly patio! Stop by, check it out, and enjoy the music! 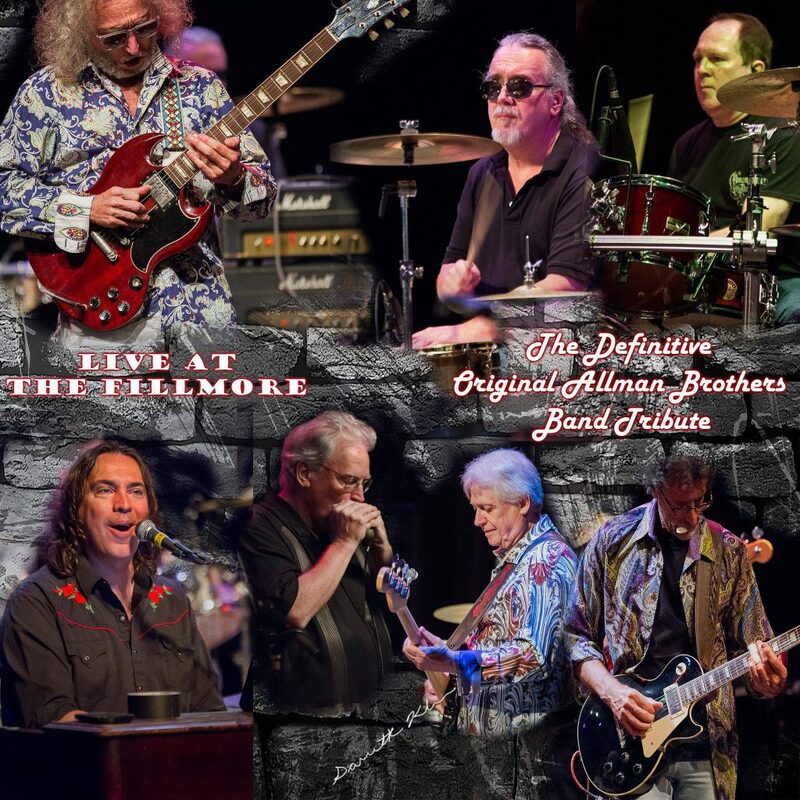 Live At The Fillmore is the ultimate Allman Brothers Tribute Band. They believe in the original Allman Brother sound, not as a jam band, but as a “band that jams”! 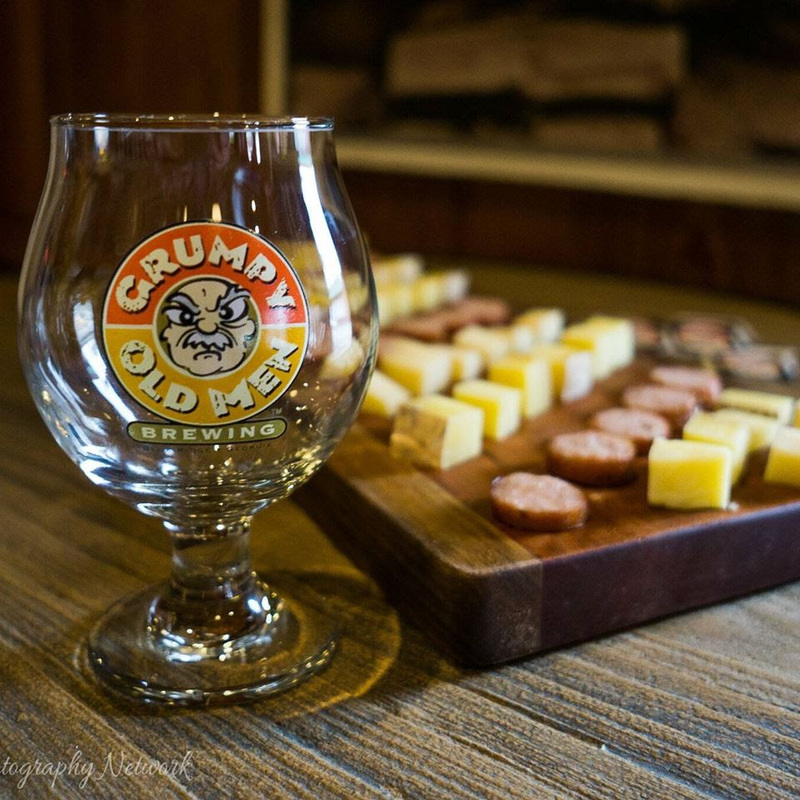 Visit Grumpy Old Men Brewing for great live music and delicious beer! Eighteen beers are currently on tap, and new brews are added frequently! Open Tuesday through Saturday. 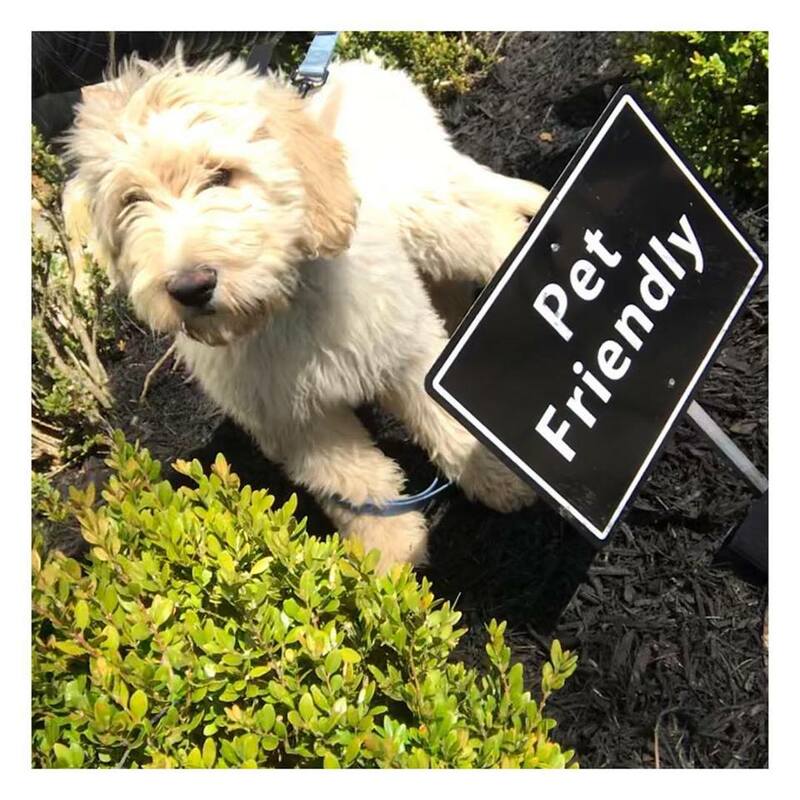 Dogs are welcome and people are tolerated! At 10:45am start your Saturday off right with Namaste & Cabernet. 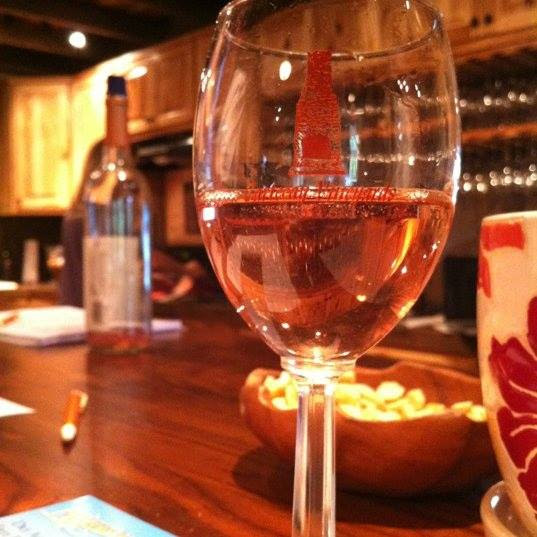 Join in on a one hour yoga class from Yoga Over Blue Ridge and then enjoy a wine tasting. Then from 1:30pm-5:30pm Hunter Flanagan will entertain you with his musical talent. Gain inspiration for your dream home! Meet builders and tour homes that range from 1,600-square feet to 9,000-squre feet. Purchase your ticket and take a self-guided tour through twenty stunning properties! 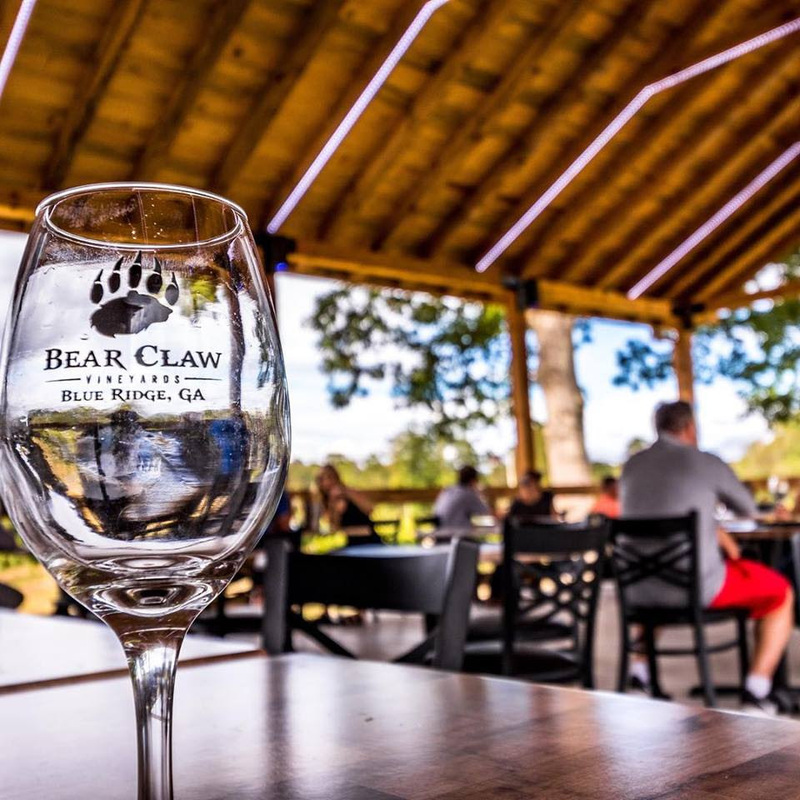 A picturesque venue, live music, and wine. What better way to spend an afternoon with your family or friends? A well-paid executive of a high-end Manhattan firm, Mel Edison, gets the ax. His wife Edna takes a job to hold them over, but she gets canned too. The world is crumbling down around him, even his plants are being killed by air pollution, he gets robbed, his psychiatrist dies with $23,000 of his money. The only thing left for him to do is have a nervous breakdown and that ends up being the best thing that ever happened to him! You can’t get a better venue or greater acoustics than right on the lake. 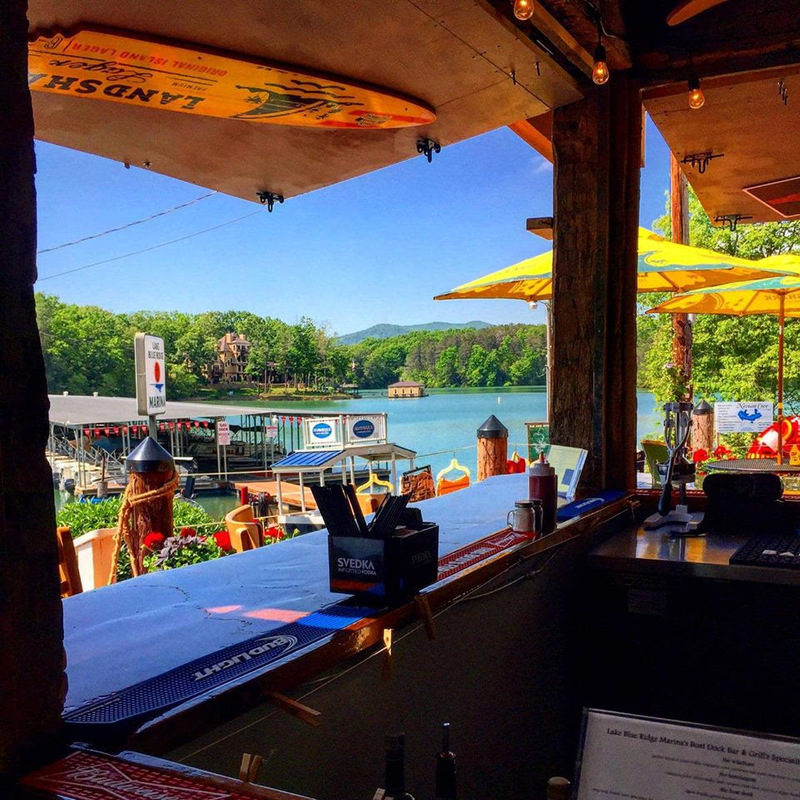 With delicious food and jamming tunes, you’ll love the atmosphere and entertainment at the Boat Dock Bar & Grill at the Lake Blue Ridge Marina. 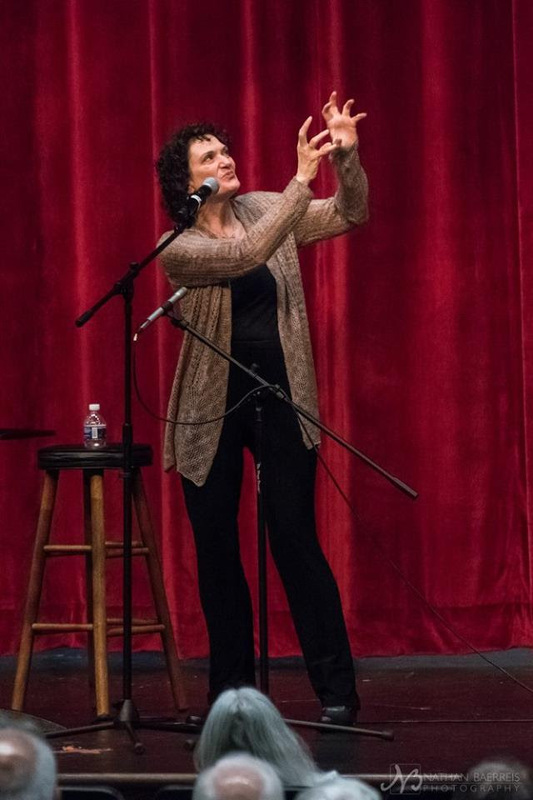 The Georgia Mountain Storytelling Festival showcases the art of Southern storytelling with an emphasis on Appalachian stories, both traditional and contemporary. 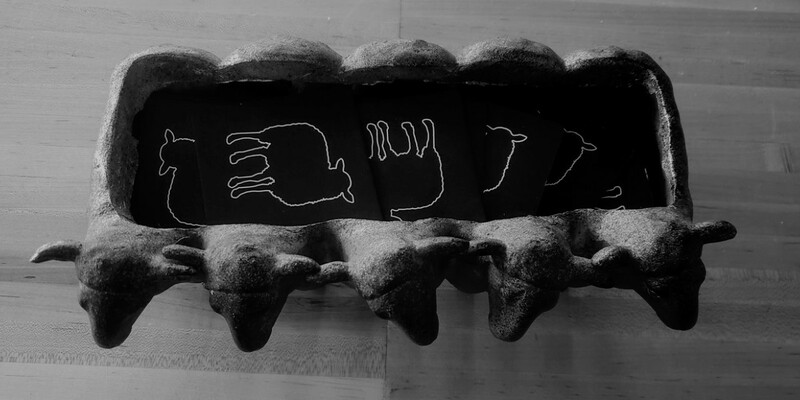 The Festival’s events include two days of outstanding storytelling performances. Workshops will be available for students and visitors to learn storytelling, speaking, and performance skills. Raise a glass of Apple Lager made with Mercier Orchard apple cider benefiting Project Chimps – an organization founded to provide lifetime care to former research chimpanzees at a 236-acre forested sanctuary in North Georgia. For $25 you get a limited edition Project Chimp glass, a 16-oz lager and a bowl of the Fire & Ice-winning chili! 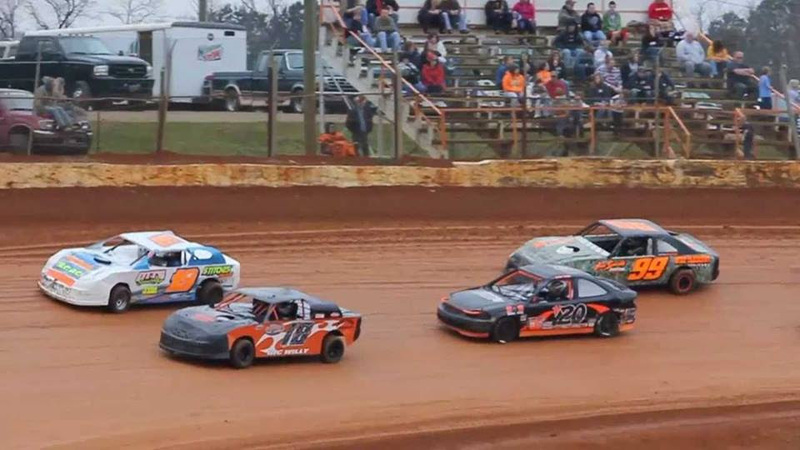 Opening day for the spring and summer season of auto racing begins with a Demo Derby – First Points Race. Murder Mystery. Dinner. Wine. Disco dancing. Any of those alone would be cool – but jamming them all together under one roof, on the same day at the same time. Wowzer! Must you dress like John Travolta? No. Should you? Yes. 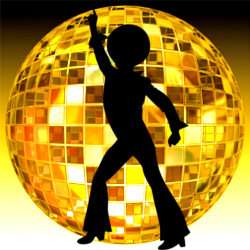 And yes, there will be a disco ball! An absolute treat for knit, crochet, weaving, and rug hooking enthusiasts! Attendees of this event will gain access to a variety of vendors and educational resources. 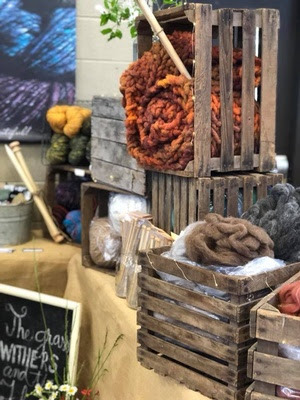 Needle artists will enjoy shopping for yarn, beads, hand dyed materials, artisan fiber, felted rug supplies, wood turning products, and more! Kids and kids at heart will enjoy this special day of art and discovery at the Project Chimps sanctuary for former research chimpanzees. 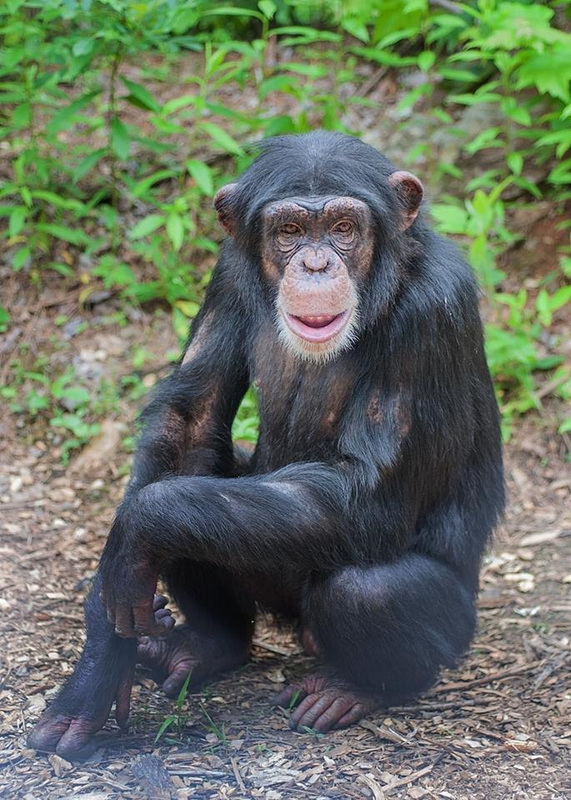 Spend a few hours with the chimps to see their forever home. 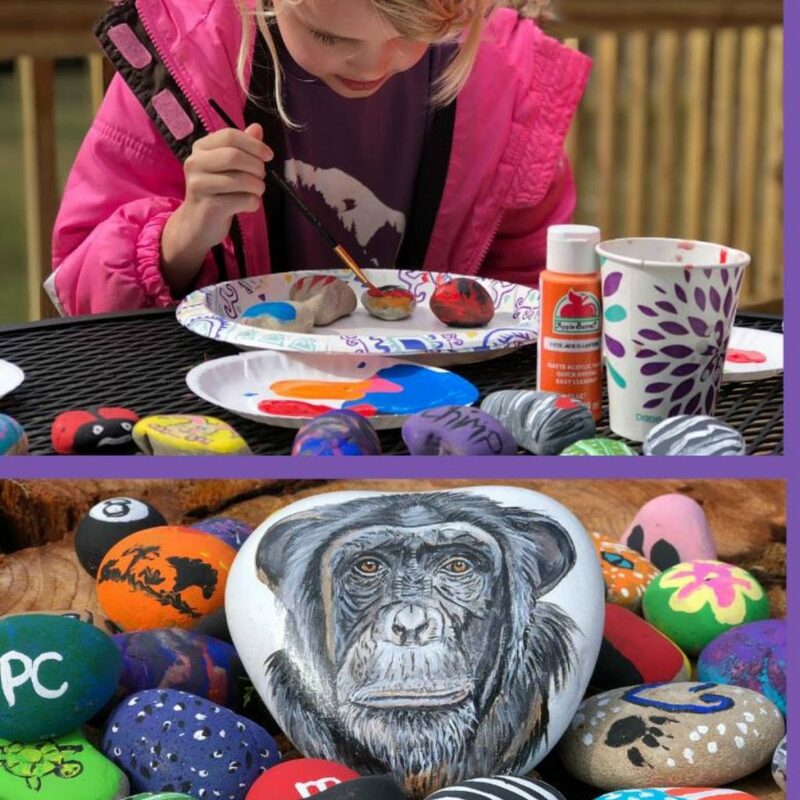 Each guest will receive a rock to paint and while it dries, tour the sanctuary and learn about the lives of the chimps! Fly-fishing is great fun! It’s outdoorsy, challenging, technical and rewarding especially in Blue Ridge, the Trout Capital of Georgia. The Trout Fest will feature free fly-fishing seminars, fly-tying, fly-casting, and a casting pond will be available. 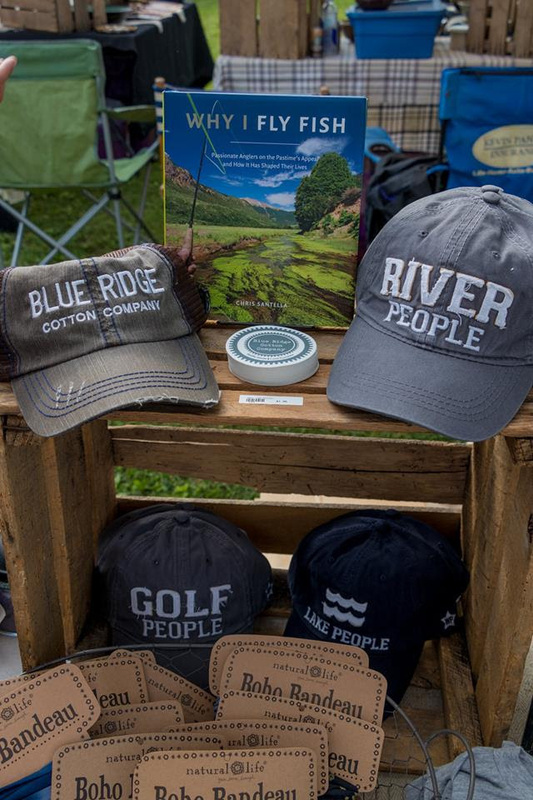 Learn about trout fishing locations around Fannin County from local experts and visit your favorite craft vendors. There will also be food, music, and lots of fun! What do you want most in a vacation? 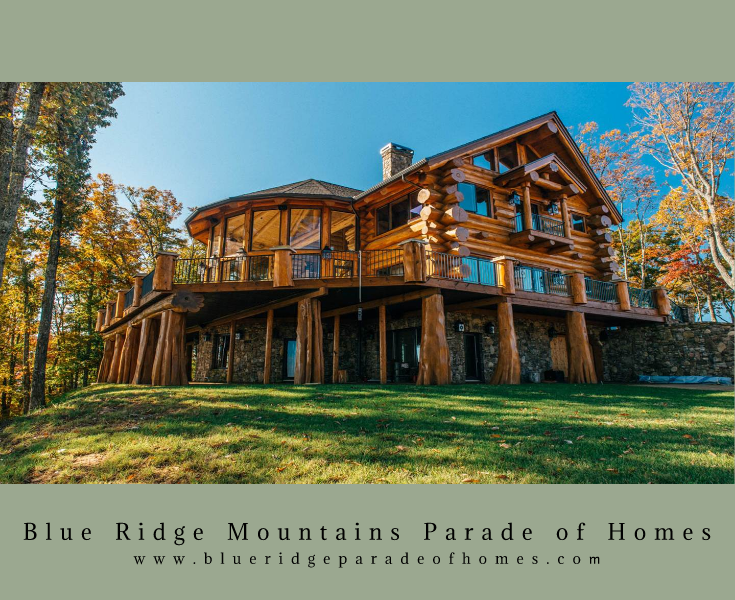 If it’s a magnificent mountain hideaway on a lakefront, with all the comforts of home but none of the pressures and stresses, you’ll find it at the Blue Ridge cabin rental Happy Place. Located on the north end of Lake Nottely just 12 miles from downtown Blue Ridge, this beautiful, bright and cheery home is the epitome of happiness. It’s a peaceful, welcoming place where you can rest and relax with loved ones, with breathtaking views from the wraparound decks providing the perfect backdrop from sunrise to sunset.You’re welcome to bring up to two small flea-controlled dogs with you to enjoy the fun, relaxation and contentment of your stay at Happy Place, where the name really does say it all. Escape to a mountaintop in Blue Ridge to a home with some of North Georgia’s best views that extend out to two more states. 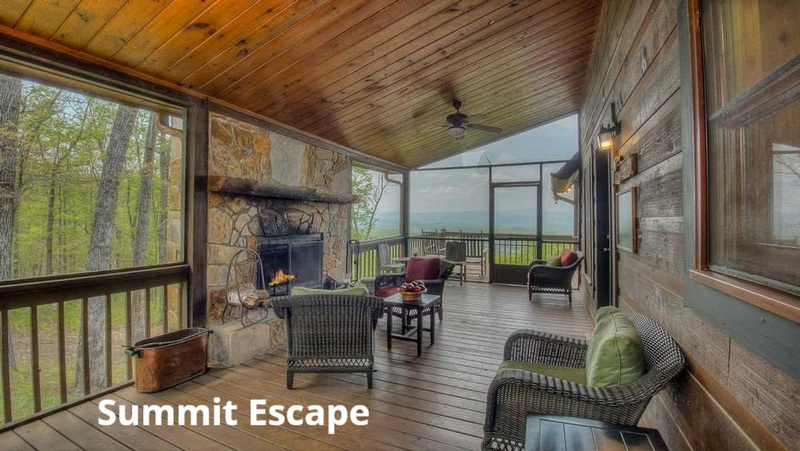 Summit Escape is adjacent to 100 acres of pristine, undisturbed wilderness, yet is convenient to downtown Blue Ridge and McCaysville. There is no better place than this cabin’s expansive wraparound deck or beautiful screened in porch to watch the area’s abounding wildlife from wild turkeys, to deer and hummingbirds. 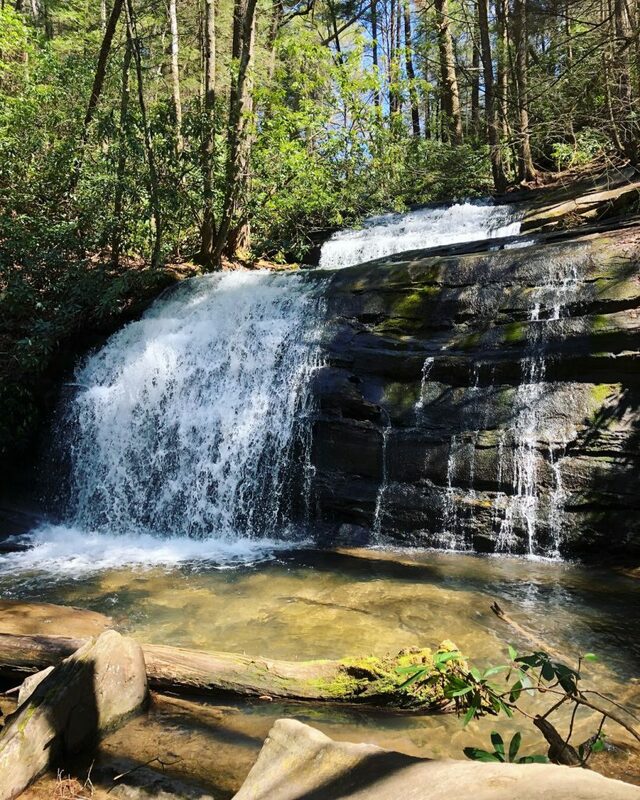 If you’re looking for a scenic trail with beautiful falls at the end, and to check off a couple high profile hiking trails while you’re at it, Long Creek Falls in the Chattahoochee National Forest in Blue Ridge, Georgia should make it to the top of your list. An easy to moderate difficulty rating, Long Creek Falls is a two-mile round trip “out-and-back trail” that sits directly on the Appalachian Trail (AT), with access to both the Benton McKaye Trail and the Duncan Ridge Trail. Uniquely, the Appalachian Trail and Benton McKaye Trail run together as one route during this particular section of the footpath. Keep Reading. Thank you again for giving us the privilege of serving you. If we can ever be of assistance, please visit us online at www.escapetoblueridge.com email us at reservations@escapetoblueridge.com or give us a call at 1-866-618-2521. We look forward to seeing you soon!